Welcome to my website. My name is Barbara Perini. 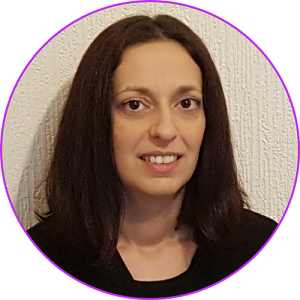 I am originally from Italy and have been in London since 2009, where I have been practicing as a psychodynamic counsellor and therapist since 2013. I am registered with the BACP (British Association for Counselling and Psychotherapy), adhering to their ethical framework. I receive regular supervision to ensure that I work at the highest standard, so that I can offer you the best possible service. I also hold a current DBS (Disclosure and Barring Service) check. In my private practice I offer short and long term therapy, in both English and Italian. I have experience working with individuals, adults and young adults, from 16 years. Please check the About me page for more information about my qualifications and experience. My approach is psychodynamic, which means that I focus on you as an individual, with your unique past and present experiences, feelings and emotions. My sessions are adapted to your needs and personality. I believe that one of the most powerful elements in counselling and therapy is the relationship built between you and me. For this reason I provide a safe, non-judgmental environment, in which you will be able to explore your past and current issues, feelings and experiences. Learning about your experiences, thoughts and feelings and how these are related to your mental and physical symptoms, will help you to improve your wellbeing and find new strategies to cope with life events, without feeling overwhelmed anymore. More information about my approach can be found in the About Therapy page.